Got your copy of our latest issue yet? Well, what are you waiting for? Here’s just some of the highlights from our ‘Bright & Breezy’ Summer issue – so much colour, fun and style to inspire! 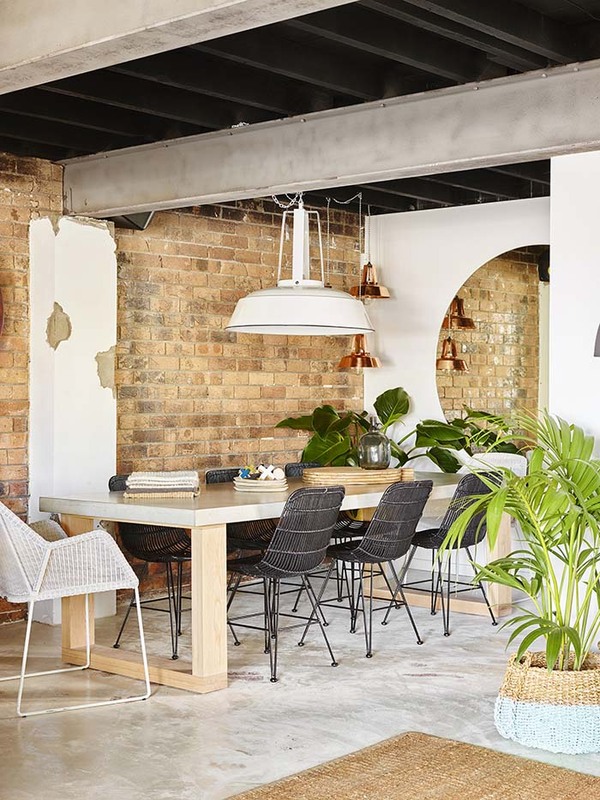 Our Bright & Breezy front cover home this issue comes from Michael and Carlene Duffy, former reality TV stars of The Block, and now build and design team Cedar & Suede. 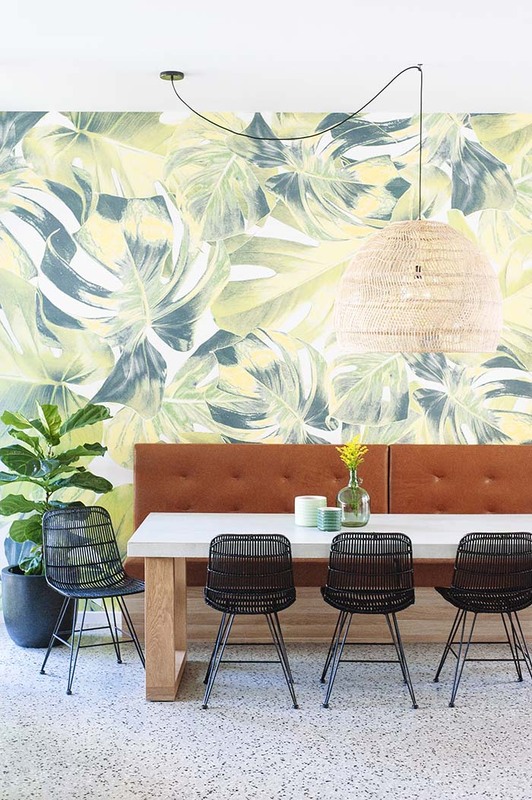 It’s a contemporary beach house on the Gold Coast that Carlene has transformed with her signature love of colour. 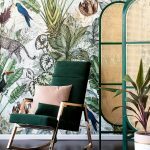 Don’t you just love that ‘Welcome to the Jungle’ wallpaper?! You’ll spot plenty of pieces from the Gold Coast’s own Kira & Kira in the Cedar & Suede home, too. Carlene is a big fan of these local artisan furniture makers, as are we. Their Foundation dining table takes centre stage on our front cover. 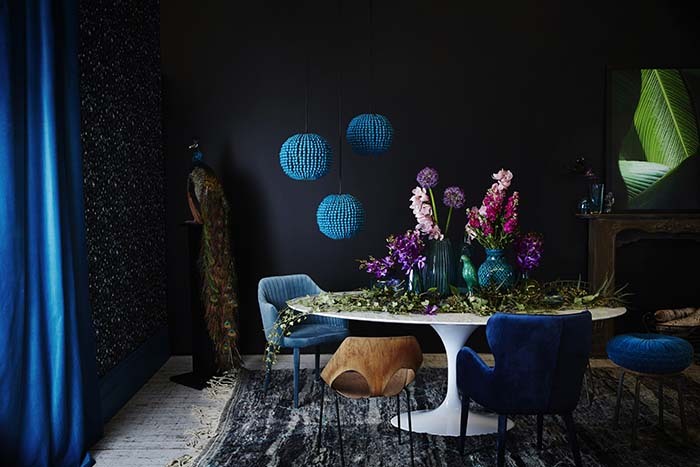 The divinely dark and moody Paddington cottage in our Eclectic Glamour story doubles as a shopfront for the style-savvy owners – and we just adore how they have combined ornate treasures with a vintage-luxe vibe. Inspired by Hellenic Isles, the award-winning home Azure beach house by Chris Clout Design takes coastal luxury to the pinnacle of aspirational living. You have to see it to believe it. 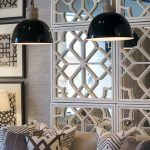 Hamptons styling and comfortable elegance is at the forefront of the Being Bespoke home, which has been lovingly designed as a retreat that suits every member of the family. Andy & Laura Wortlock from artisan homewares and accessory brand, Once Was Lost. Get to know Andy and Laura Wortlock from Once Was Lost in The Creatives this issue – they share their lovely story and let us inside their life and style. The latest collection from Australian artisan Alice Keep, of KEEPRESIN. As always, we’ve hunted down some great design finds too – including the stunning new Spring/Summer 16 range of resin ware from KEEPRESIN, which features in The Trove. 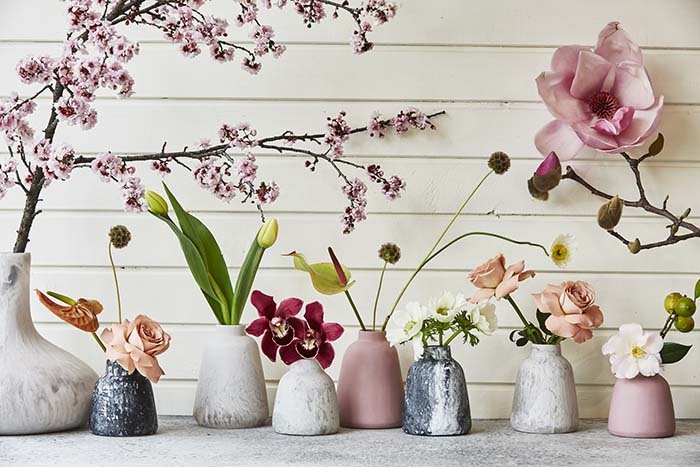 How gorgeous are these flower bud vases? Perfect summer styling. Klaylife beaded chandeliers designed with stylist Jacqui Moore. Design Pilgrim discovers the best in world-class art and design, including this divine collaboration of beaded chandeliers by stylist Jacqui Moore and Klaylife. Our Global Style feature heads to the outskirts of New York to take us inside the holiday home of designer Harriet Maxwell MacDonald from OCHRE and her husband Andrew Corrie, founder of modern sustainable homeware brand Canvas Home. 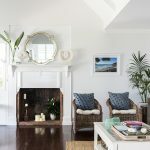 Coastal inspired interior design by Gail Hinkley Design. Photo: Anastasia Kariofyllidis. 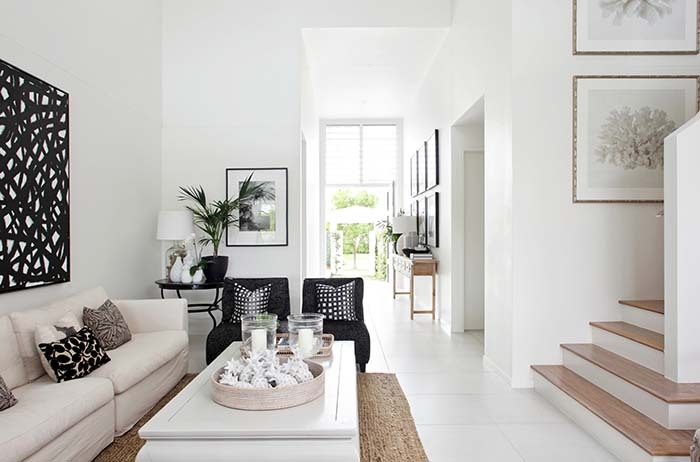 The Style Files is a showcase of interior design from some of our state’s finest designers, including this gorgeous home by Gail Hinkley Design, who is also the talent behind one of our favourite Noosa stores, Signature on Hastings. 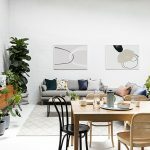 So many good looking spaces to devour!